Last morning in Taichung and my biggest regret was not trying one of the breakfast shops near my homestay. Regardless, after packing my loots, I had to drop off the minsu keys at the letterbox, flag a cab for Taichung HSR and set off for Taipei before changing to the TRA to Hualien. I was almost late for my intended train but having booked and collected the tickets earlier, I was confident that I would make it. I couldn’t get past the gantry with my ticket! Not knowing what was wrong, I sought help with one of the HSR staff and she kindly informed me that my ticket was for the next day. Yes, it was very embarrassing, but I was relieved that I didn’t make a mistake with the accommodations date instead. I took the chance to ask for the seat closest to the luggage storage area on the HSR when I changed the timing of my ticket and it was a good call really, because it meant that I could throw my luggage there without worrying too much. I recalled the first ride I took from Taoyuan to Taipei alone where I was sitting as far as possibly could from the luggage storage area and I couldn’t take my eyes off it, in an OCD-ish way. It was really exhausting. 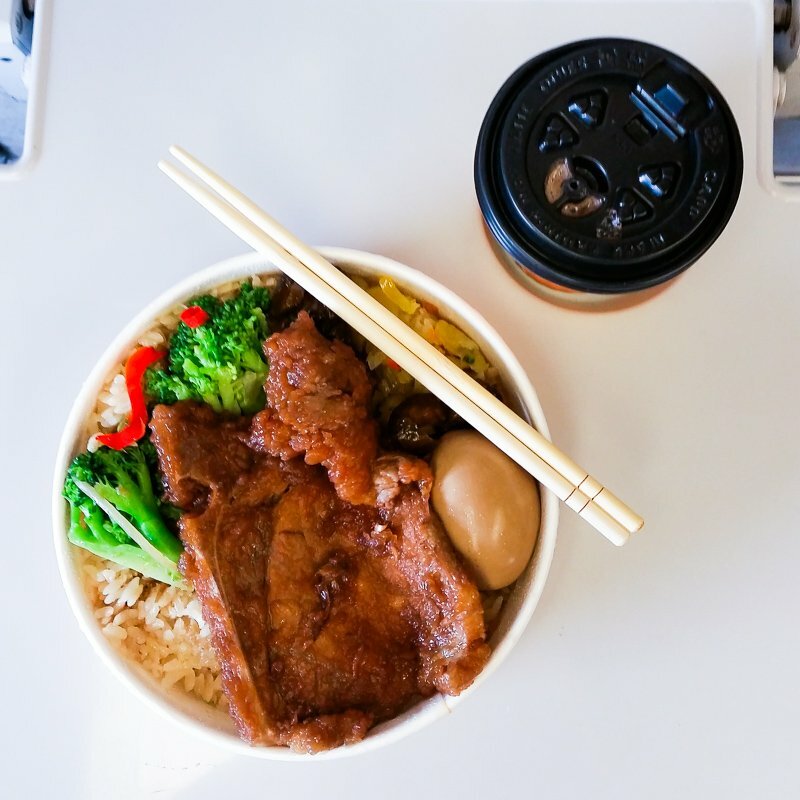 So after getting my ticket changed for the correct date, I decided to get the HSR bento since I had a little bit of time before I board the next train. 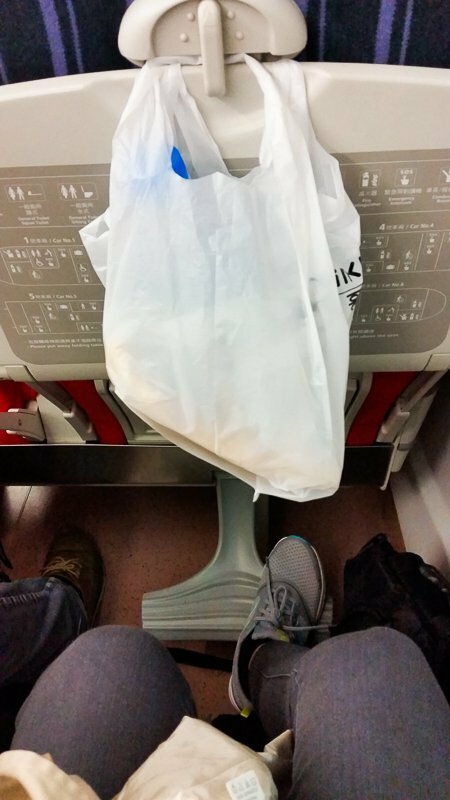 It wasn’t out of this world but it felt good to enjoy hot food on the long train ride. Alright, it wasn’t that long a train ride. It wasn’t until I got onto the platform when I noticed this! 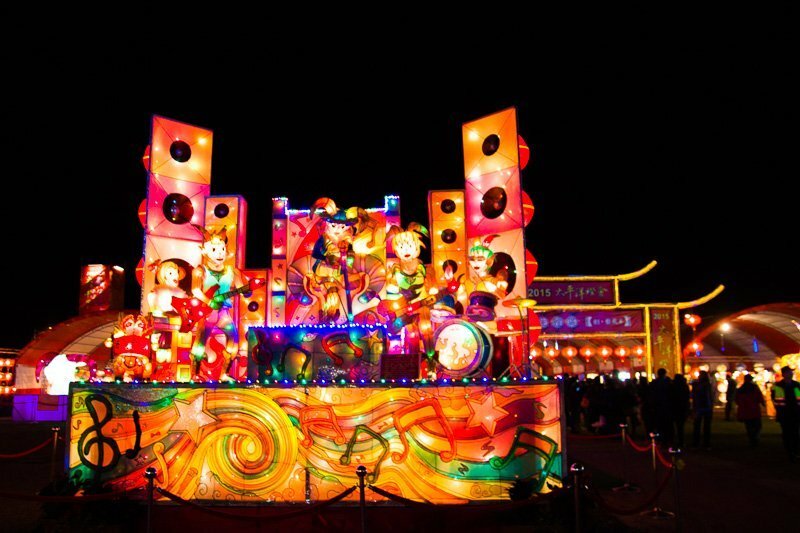 It was the Taichung light festival which I couldn’t find time to visit and it didn’t occur to me that it was this huge and splendid. Well, I comforted myself with the thought that I at least got to admire the sight from afar. 45 minutes later, I found myself pulling into Taipei station. The efficiency of the HSR never fails to amaze me. 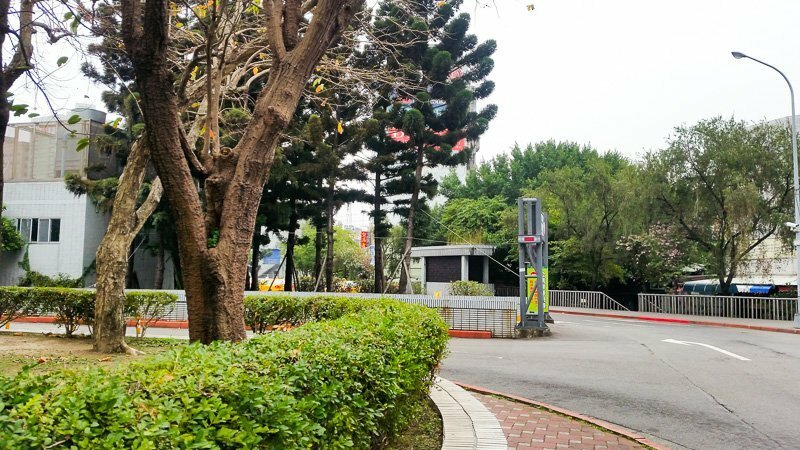 Cross over to the taxi stand and continue down the path and you will spot the building. I am not too sure how the English name came about but the purpose of the CBC was actually to ship baggage, which are too bulky to bring onto the train, from station to station. Guess they found more business with temporary luggage storage since that’s what tourists usually know it for. The centre was kind of dubious; I expected some sort of service counter but no, it was really just an office area with luggages stored in all corners. And my luggage was soon to join them. I was starting to be concerned with the safety of my belongings but I didn’t have much of a backup plan. So without a choice, I decided to stick through with the plan and have them safe-keep my luggage for a day. You will only be charged at the end of your storage and it’s NT70 per day. They will pass you a flimsy collection slip and all I remembered was them reminding me not to lose it. They really could have made their collection slip more sturdy. Somehow, the Taiwanese seems to know their geography well. They love to label their directions with North, South, East, West and for someone who can’t even figure that out in Singapore, it took me a while to figure out the platform for my destination. 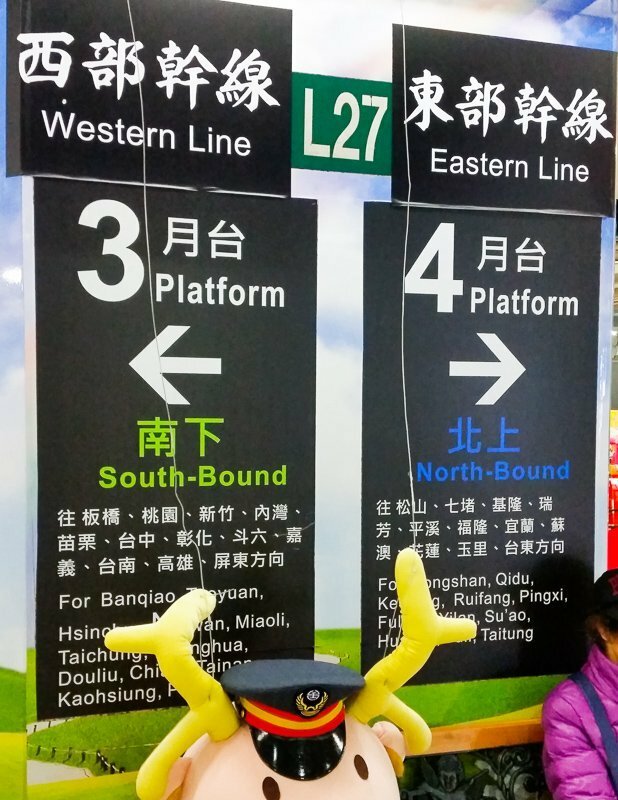 It’s Northbound to Hualien from Taipei. There are different types of TRA trains traversing the same routes. 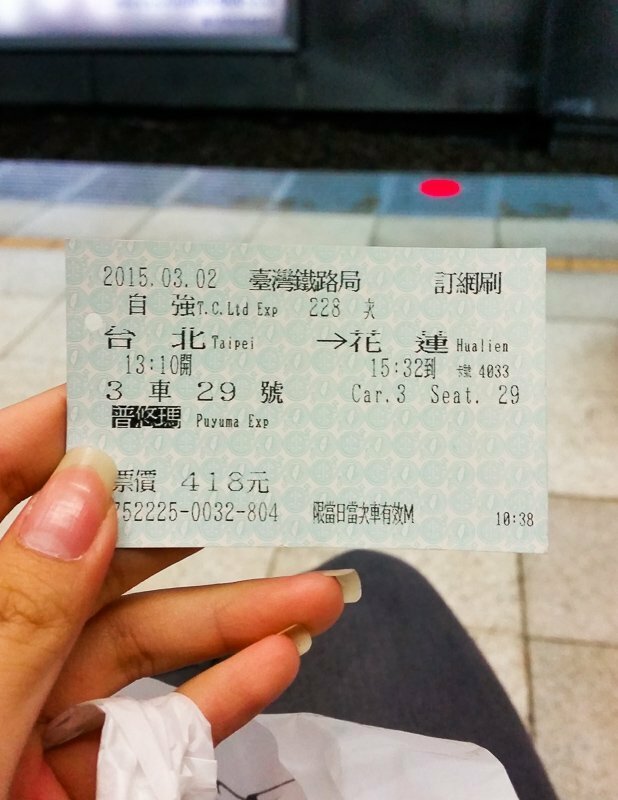 Some trains are really comfortable, like the one I was taking to Hualien. Lots of leg space and all sorts of hooks to let you hang your stuff. Some trains, on the other hand, are similar to Singapore’s MRT. Free-seating and if you can’t get a seat, you’ve got to stand throughout the hours of journey as TRA trains are much slower than HSR. So without realizing all this prior to my ride, I was lucky to get the one with assigned seats. Otherwise, the 2 hours long ride would have been really difficult to endure. Mental note to myself to bring more snacks along the next time round. It was interesting to see the varying degree of urbanization as you progress northwards along the line. But otherwise, there really isn’t anything else that’s entertaining on the way. 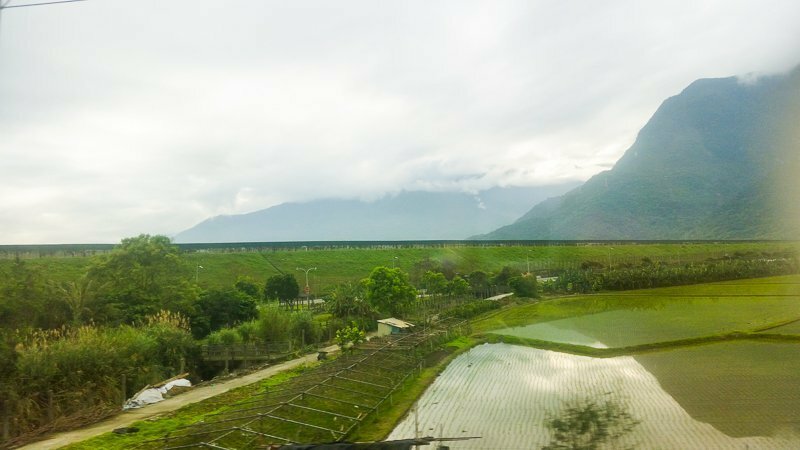 You could tell at one glance that Hualien is not as urbanized as Taipei or Taichung as there were hardly any high-rise buildings in sight. Armed with detailed directions I googled prior to my trip, I brisk-walked over to my stay for the night, Mini Voyage. Wooden doors again, big love. It was nearly 4:00 PM by the time I settled down in my hostel room. 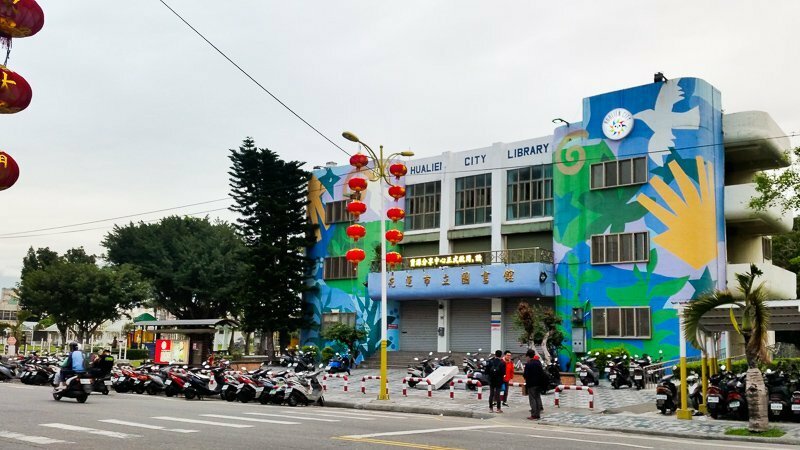 Without much time to spare for the day since skies turn dark earlier during this season, I needed to get out of the hostel to maximise my limited time in Hualien. Unfortunately, I forgot to charge my devices before this. Being an epic direction idiot, I couldn’t possibly leave the place to explore without my gadgets. And to add on, I was charging via the standard (and slow) USB which is an utter act of stupidity so please don’t don’t don’t be like me who wasted a good two hours to get my phone up to 20%. Invest in some good power charging extensions or something. It was almost late evening by the time I set out to explore the area and I was famished. 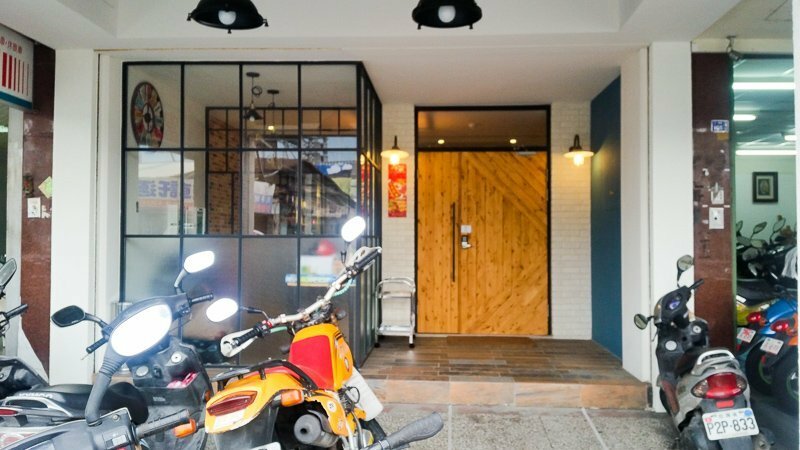 I decided to go down Zhongshan Road because according to the map I had, it seemed to be most happening. Side-tracking a little, I passed by this colourful library which I thought was really old-school. On the way, I spotted this snack stall and there was a small crowd gathering outside the shop, waiting for their food. Deciding not to risk missing out on good food, I joined in the queue. Each burger is meticulously prepared by only the owner so a long wait was to be expected. Not to mention the hordes of students and motorcyclists who place their orders in bulk. BUT, the wait was worth every bit. The burger had a unique taste and I loved that the filling was shredded chicken instead of the standard patty which offered a different texture. The bun, after some light toasting, was crispy on the outside, soft and moist on the inside. There were also corn and shredded veggies in the filling which made it more crunchy and balanced in taste. For only NT45 to 55 each, this is much more than just worth it. 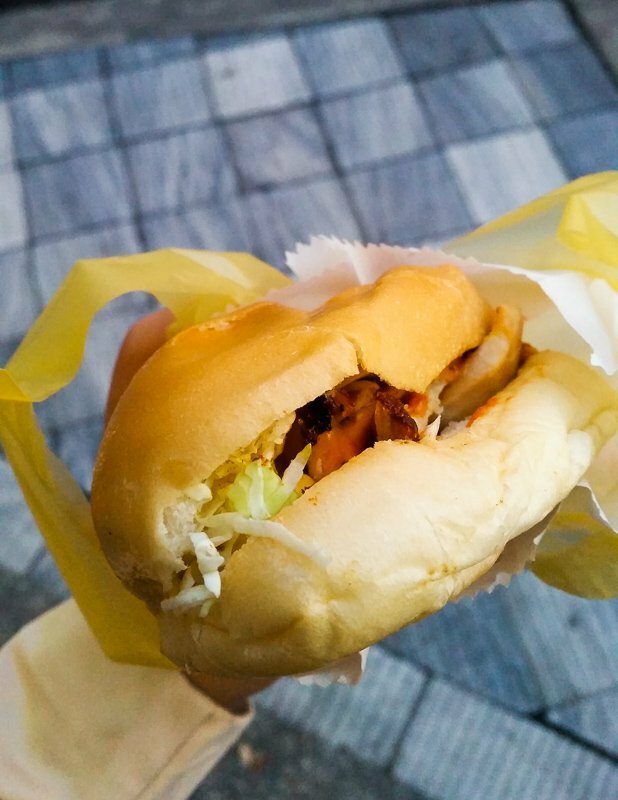 I spotted some stalls selling similar burgers in Taipei night markets, but none were as appealing as this. 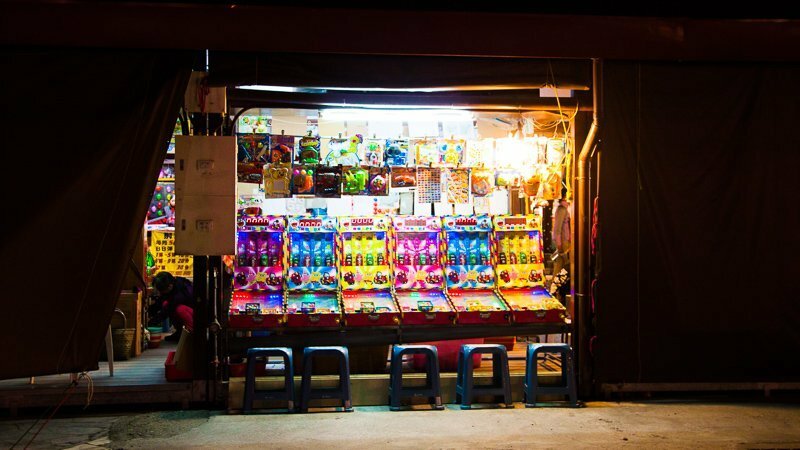 So do try this when you’re in Hualien! Note after wiki-ing: This ‘burger’ is adapted from a shawarma, which is a Levantine dish. 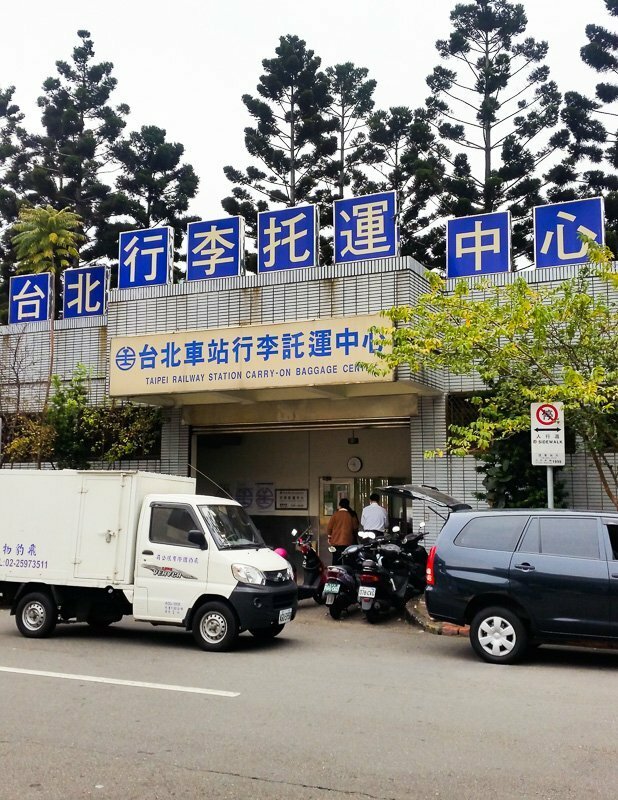 I continued down the road to Justice Bao (公正包子). On the way down, I spotted the rubbish truck by its jubilee tune (think song from a battery-powered lantern). 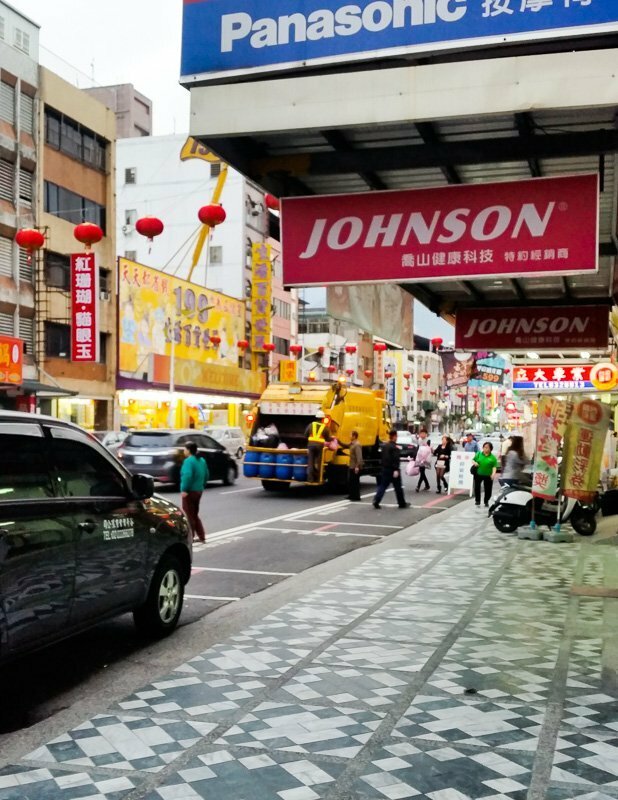 Unlike in Singapore, where the workers will retrieve directly, in Hualien and perhaps most of Taiwan, their trucks play a tune to signal residents and business owners to bring their garbage out. The sky darkened pretty quickly by the time I located Justice Bao. 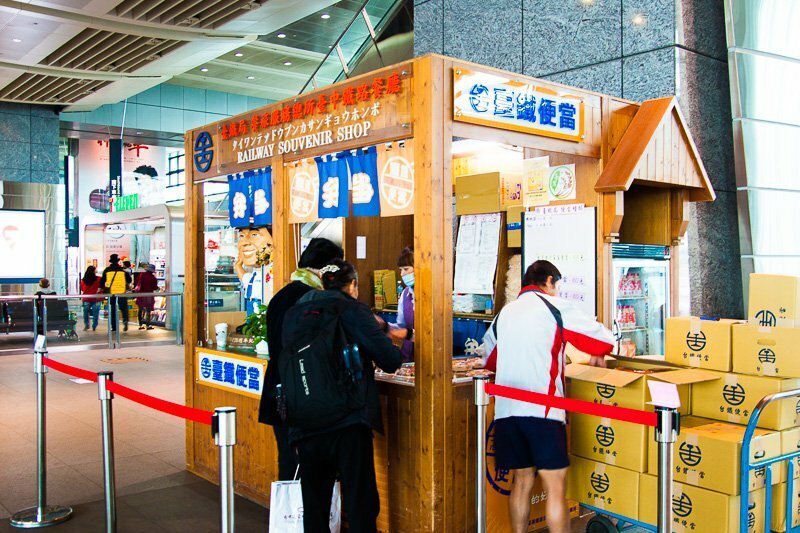 The bao shop has long had the reputation for being one of Hualien’s must-try food. I have been forewarned that the bun was closer to Singapore’s bao than the usual xiao long bao that we were accustomed to. But what I wasn’t warned about, was how overrated the baos were. The place was a flurry of mess and you could see people trying to get seats and the workers trying to chase the crowds away as there wasn’t enough tables, with barely audible words trailing long after they have scurried away. The takeaway queue was reasonably fast and I ordered four…since it was pretty affordable. On hindsight, two would have been more than sufficient since each pau was bigger than the usual xlb. I suggest you skip this altogether. 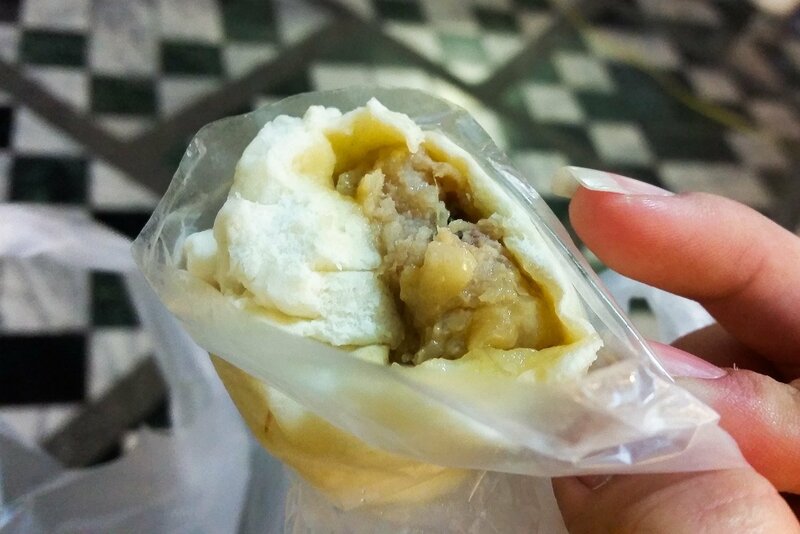 The ba pau I get from the nearby coffeeshop is better. Like seriously. 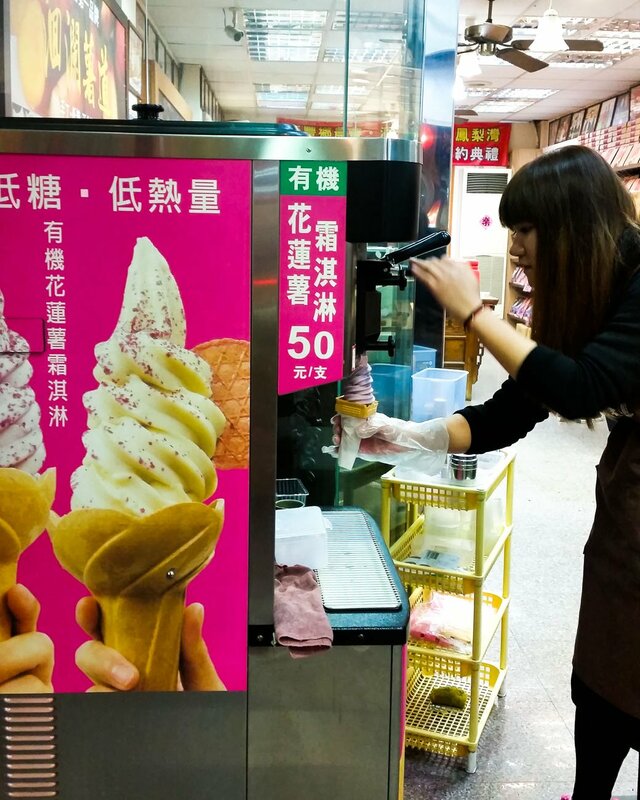 I next went for sweet potato ice cream at a nearby shop, 洄澜薯道 (Hui Lan Shu Dao). 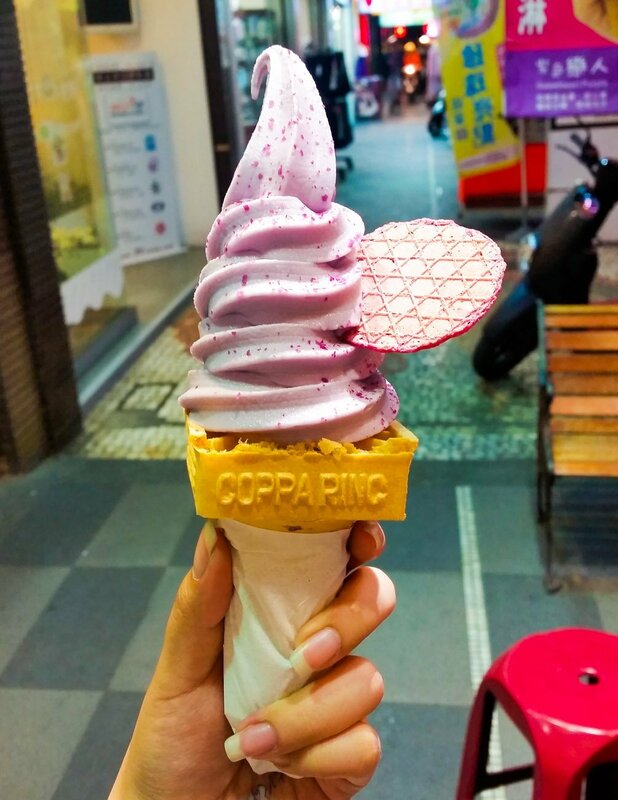 Though more well-known for its Hualien sweet potato specialties, its ice cream was also highly recommended online. As usual, I had high expectations but left disappointed. Part of the reason could have been because I mistook it as yam ice-cream (It was only until penning this post that I realised it was sweet potato…), but the general creamy consistency that I expected from ice-cream was lacking. Whatever it was, it wasn’t quite worth the try. The flavour is purple sweet potato, by the way. I walked a long stretch without spotting anything interesting. 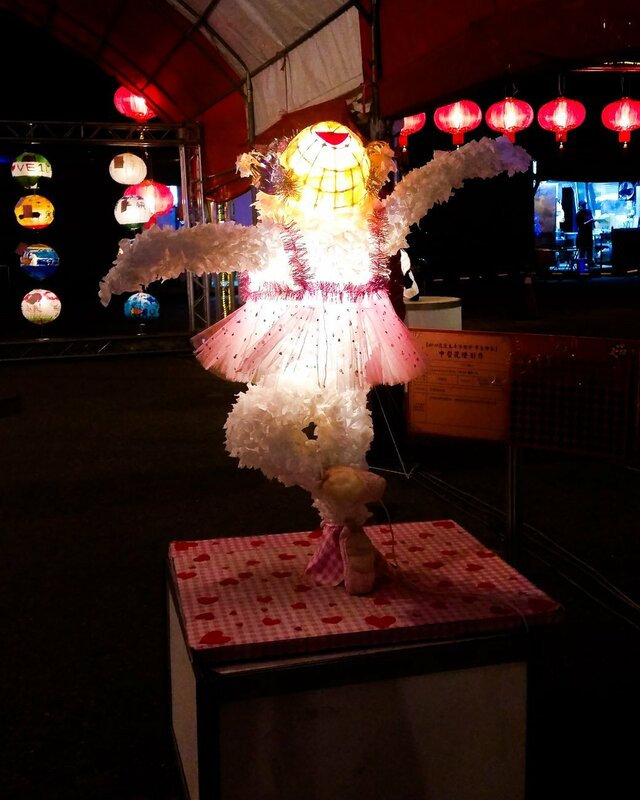 But fortunately, at the end of it, I came across a light festival! It was such a pleasant surprise, since I was almost certain that there wouldn’t be anything else at the end of the road. 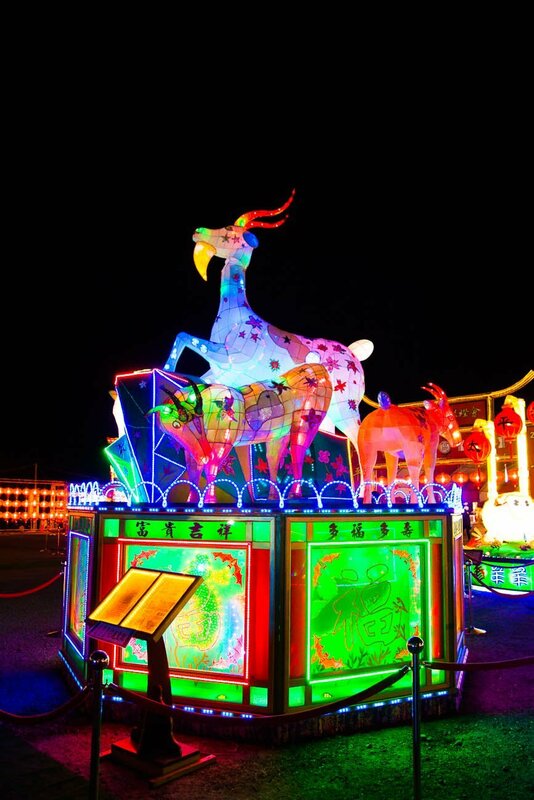 So many drivers recommended me to check out their light festivals which were held during the festive period. I was pretty bummed that I missed it in Taichung having spotted its magnificent scale from the HSR platform earlier in the day so I was absolutely delighted to have stumbled onto this! 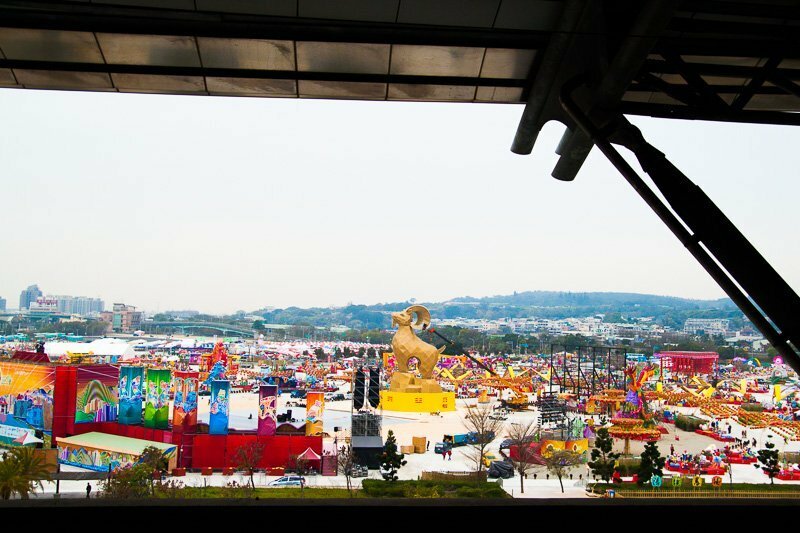 Though on a much smaller scale than the one in Taichung, there was still plenty to look at. 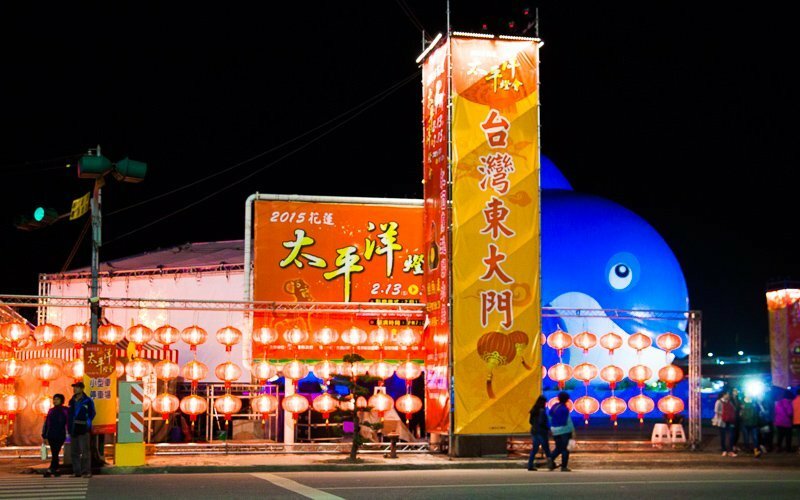 I guess one of the perks of visiting the light festival in Hualien was a smaller and more manageable crowd. And if you’re here in a group, you could also amuse yourself with adorable lantern hairbands which I saw on a group of tourists. Touristy kind of fun which should never be attempted alone. 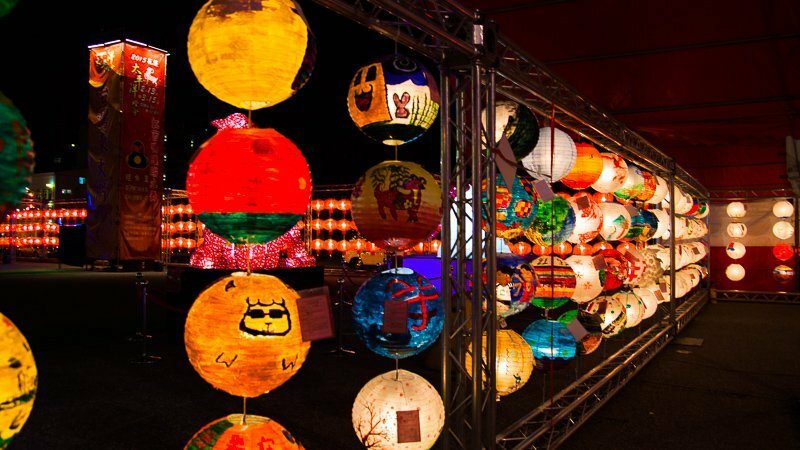 Coincidentally or intentionally, there was a night market next to the festival. 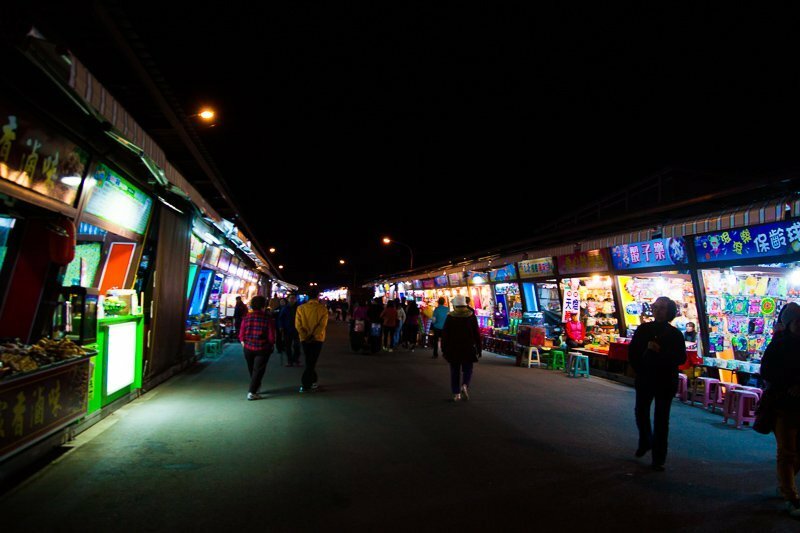 This rainbow night market had to be the most deserted night market I’ve ever been to in Taiwan. Mostly games and food stalls which were quite repetitive. It was so quiet that I couldn’t quite pick myself up to walk around enthusiastically so I headed back to my hostel after a while. 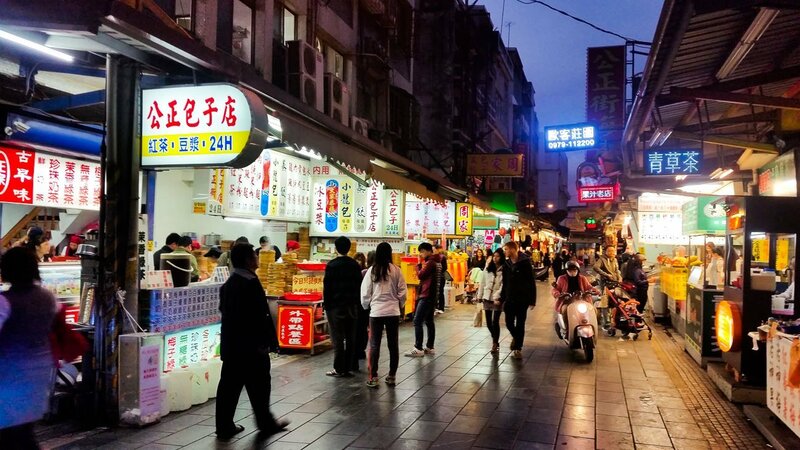 Consider Ziqiang Night Market instead. There were a couple of food I wanted to try but had to give them a miss as they were closed when I passed by. One of them is 弘爷 (Hong Ye), a franchise breakfast stall selling sandwiches with awesome sauces and the other was Tasty, a steakhouse which a fellow Singaporean who resided in Taiwan for years recommended us while we were in Cingjing. You could consider these instead of the over-raved Justice Bao! what u have done but opposite direction? 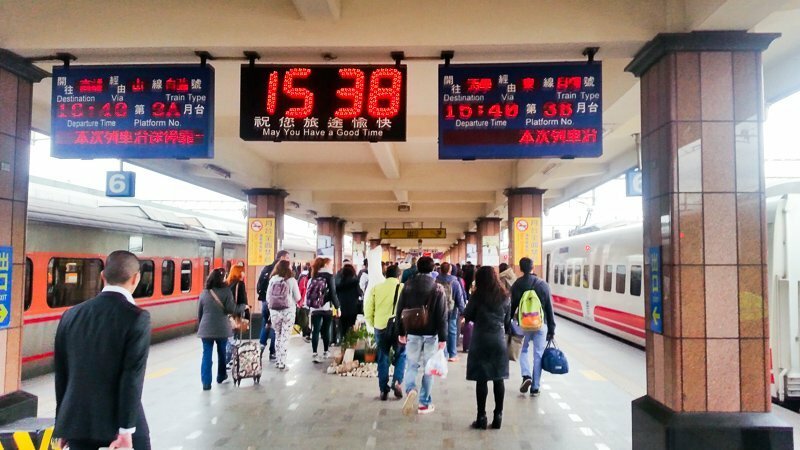 hualian to taipei normal speed, then taipei to taichong fast speed? i was looking at the timing and one direction train from hualian to taichong varies from 4hrs to 5hrs? Is it a long walk to transfer over to the other train to take from hualian to taipei? 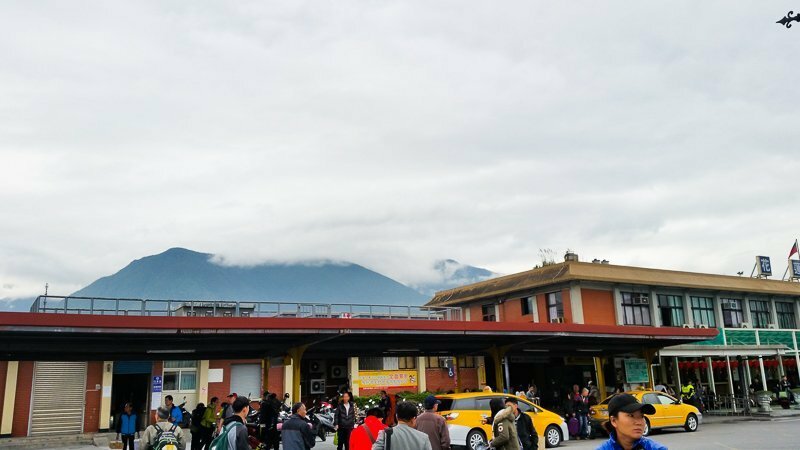 Hi there, I remembered I opted to take from Taichung to Taipei, then to Hualien because it was faster and I thought it would be good to deposit my luggage in Taipei first as I didn’t want to lug everything to Hualien since I was only staying there for a day. 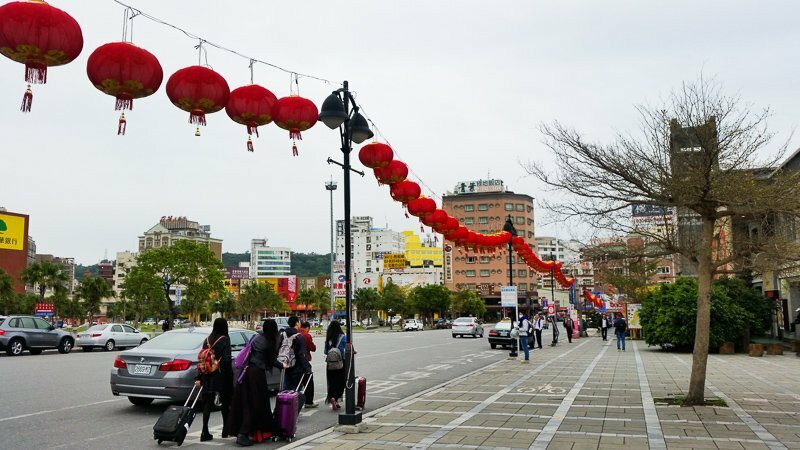 It’s 45 minutes from Taichung to Taipei and 2.5 hours from Taipei to Hualien. 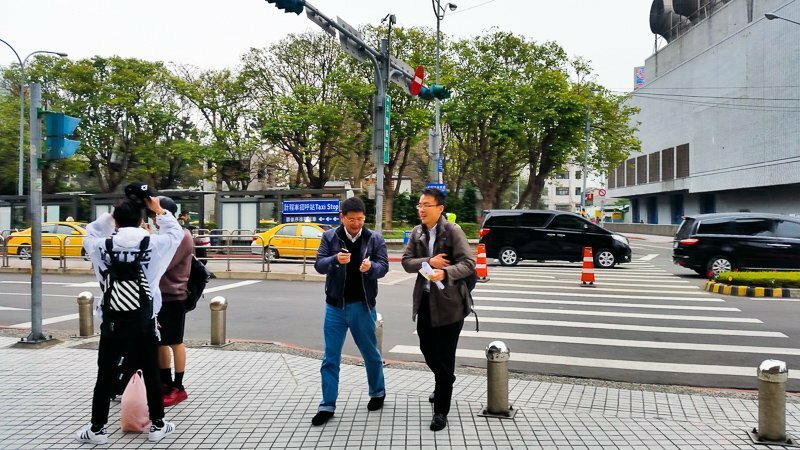 The normal speed and fast speed trains are in the same building in Taipei; do ask a local for direction if you can’t find your way.